That year, Linda and I decided to head out to Vegas to celebrate the New Year (thanks to some nice incentives from a casino down there). 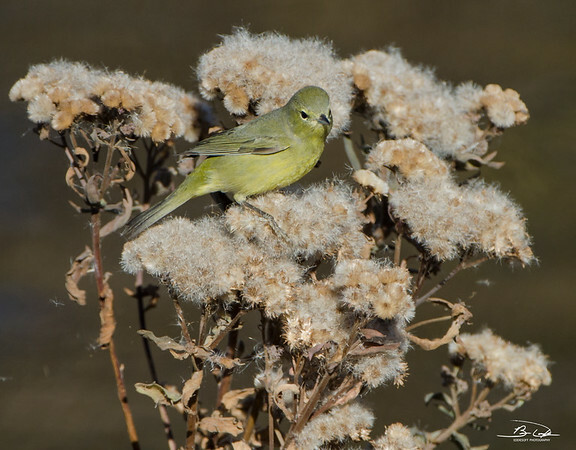 As a general rule, if you are a birder and heading to that part of the country – always find time to stop by the Henderson Bird Viewing Preserve – you will never be disappointed. I have covered this birding hot spot a number of times previously on this blog, so I’ll leave all the details of the place out this time and go straight to the bounty. 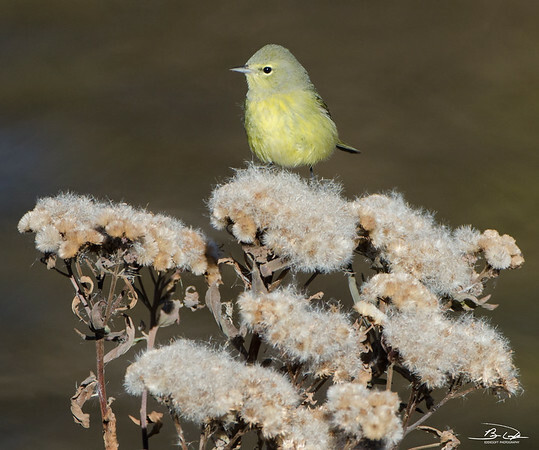 Truth be told, it was not until I was able to get into the digital darkroom that this little Warbler caught my eye. While shooting figured it was just another female Goldfinch or similar common bird that has made their way into the tin several times before. 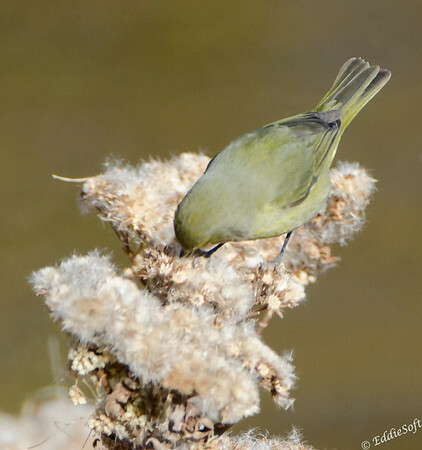 While processing the images it became apparent that this was not a common bird I was used to seeing. Still not positive on what it was, I pulled out my trusty reference books. First observation – there are a hell of a lot of Warblers out there! Wow, this was going to take some time. You can dismiss a number of them on key characteristics, but this one had several common traits starting with the olive drab coloring. There was only one thing left to do – call in the Warbler Expert. That’s right, dial up my brother Ron and see what he can make of this particular bird. The good news is I had a number of different angles in the tin and most of the shots turned out really nice and crispy. Sure enough, he was able to figure out what it was – pretty quickly I might add. Always good to have a knowledgeable resource at hand. 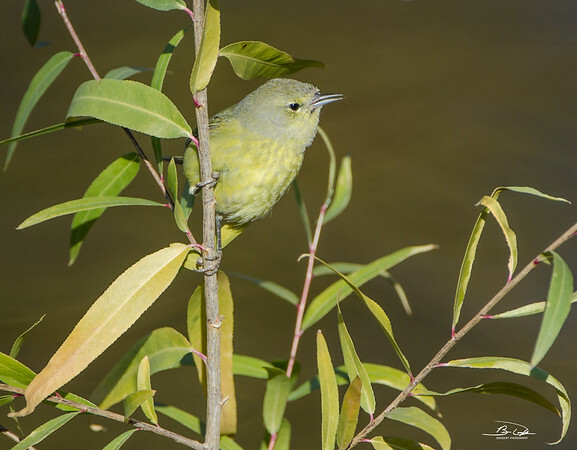 There was a moment of elation when the response came back “that’s an Orange-Crowned Warbler. 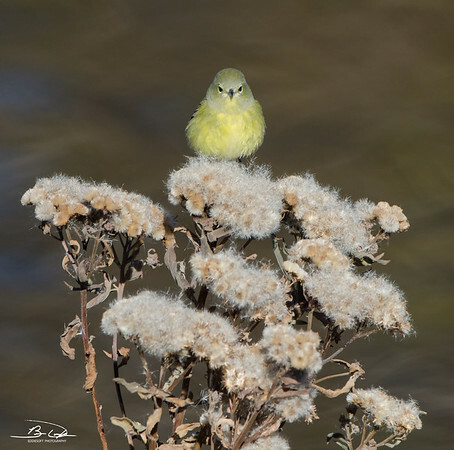 Guess who did not have an Orange-Crowned Warbler before that moment – that’s right, this guy! Sweet, another +1 pulled from Henderson (easily in the 25-20 range at that place alone). Looks like these cuties spend their summers up in Canada and a smattering down the western side of the US. Their winters along are spent on the southern coastline down into Central America. Pretty narrow opportunities, so stoked that I can check the Orange off the list. Note, this is especially important because Ron just updated his bird count and it is up to 220 now. Guessing he has surpassed me now, but at least he will have to work a bit to get the Orange-Crowned crossed off his list (not that we are competing or anything like that). 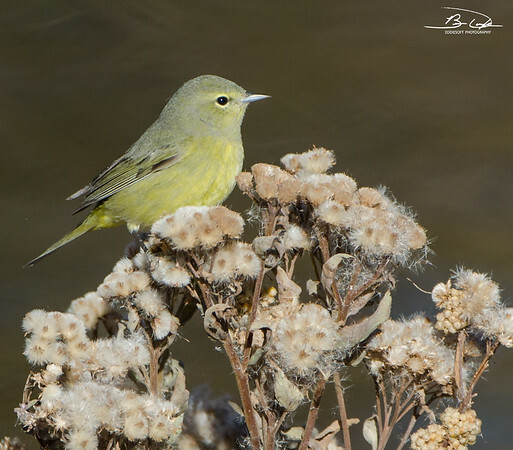 How about we check the Cornell site and see what interesting things we can relay about this Warbler. Looks like there are four subspecies that differ physically and visually. Celata covers Alaska and Canada. Lutescens call the Rocky Mountains and Great Basin their home. They really do not give any local for the Orestera just stating that it is an intermediate in appearance and then the Sordida is found around the Channel Islands and locally along the coast of southern California. With that description guess I would have to go with this being a Lutescens or possibly an Orestera since they have very limited info on it. 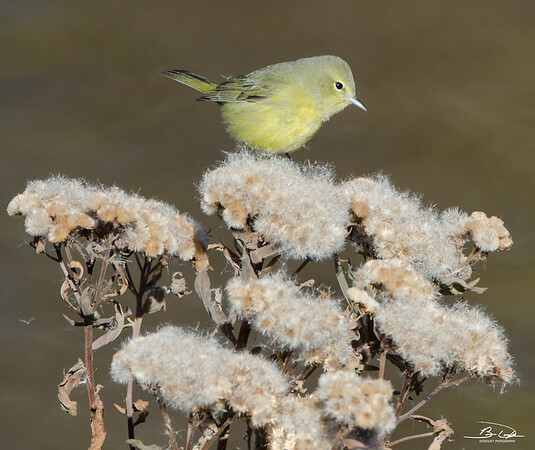 They are ground nesters “and winter farther north than most other warblers”. Lastly, their migration is triggered by dwindling food supply vs some form of calendaring. Oh, as I mentioned, there are plenty of viewing angles in this set hehehehe. Well, that pretty much puts a wrap on the new Warbler. Hope you enjoyed seeing the latest addition to my birding list. Now time to sit back and have a nice cold drink while enjoying the fact another monthly quota is in the books – oh wait, sorry, looks like I have to go on an 8 mile training run instead ugh. Another set of pics from various angles! This made the identification a lot easier, even without being able to see the orange crown. He sure doesn’t look like he’s bothered by you being there. Yep, that is one of the aspects that make Henderson Bird Viewing Preserve such a great place to go birding. It sits right in the flight path into Las Vegas – planes come cruising through there fairly low at a constant pace. Believe this has conditioned the feathered residents to be more tolerant of loud sounds. Contrast that with the American Coots at Emiquon that will go on full evacuation mode at the drop of a pin or a slight glance in their direction. Oh, and there are industrial operations going on around it which further conditions the birds for society sounds. Probably giving away my secrets to coming home home with so many +1’s whenever we visit Henderson. These are really fantastic shots! Although you say you see them every time you go out West, I’ve never seen one, myself. It looks like they would stand out due to their size and coloring. I really like your shots of it in the pine tree. I had noticed the band in the second shot and was wondering if you were going to mention it. Odd that they would band a relatively common bird, unless it’s really an escaped jailbird. Oops, the previous comment is for your next post. Never mind.